Nintendo Badge Arcade launched about a month ago in the west, finally giving western gamers an opportunity to customize their screens even more than before. The free to start game has drawn some criticism for being a little cheap when it comes to value per play, but it nonetheless remains an infuriatingly addicting experience for collectors. Of course, this also was the debut of the 'Pink Rabbit', an upbeat salesman who really wants you to play the arcade games. What do you think? 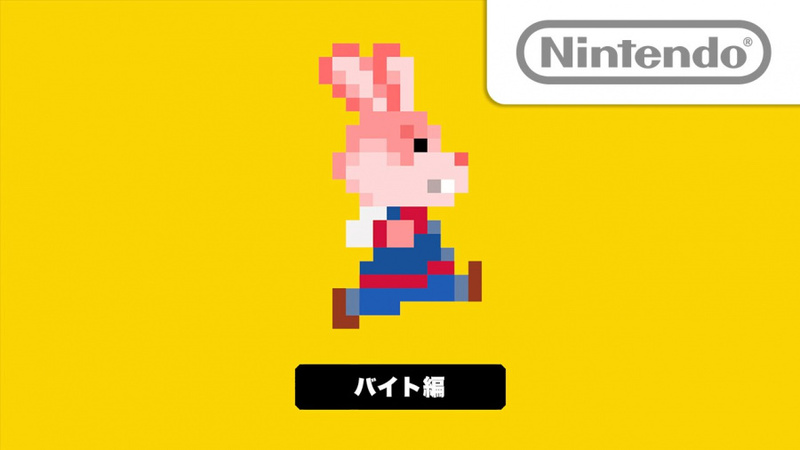 Do you like the 8-bit adaptation of the pink rabbit? What do you think of Nintendo Badge Arcade? Share your thoughts in the comments below. 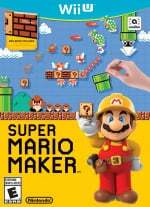 Yet another character to make Super Mario Maker before Daisy. Yay. It must take a lot more work to palette-swap an 8 bit sprite than I realize. Interesting this is costume 113 and they skip 112. Obviously another is coming soon. So… the rabbit's name is "Baito", which incidentally, is identical to how "byte" is written in Japanese. Watch this replace Chibi-Robo as the new IP. It'll be a Yo-Noid clone for NES. ...wow that would be pretty cool actually. @chewytapeworm : He's an obnoxious little turd. I wouldn't mind paying a one-off fee for unlimited plays, but $1.30 per 5 plays? Hell no. @sillygostly Or, if I were to fully "guy-jin" up, Click-Baito. Bunny is the best. I'll be playing this level and making the extra effort to get his costume. Though I'll never see it as there are 4 choices for skins and it only shows up in the first, which I never use, why would I, it's a Wiig U game, I want it to look like a Wiig U game. But bunny is the best. I'm surprised Energizer hasn't sued them yet. Maybe if the game ports to mobile. @SmaMan Comment of the year!